What is the Top Way to Sell More Books? Flora Morris Brown greets David Woghan at Publishers and Writers of Orange County meeting. Consult any list of book marketing tips for ways to sell more books and getting book reviews will be near the top of list. Think about yourself. Do you read reviews to help you decide on buying a book or any other product for that matter? Avoid offering incentives for book reviews. Contain your eagerness for getting reviews for a minute. There is a right way and a very wrong way to do it. Asking buyers to leave an honest review is acceptable, but please don’t promise them a gift, reward, discount, or incentive of any kind. Amazon and other book distributors not only don’t like it, but will ding you if they suspect you of incentivizing. As I was assembling my list of 52 weekly book marketing tips, I was eager to tell authors about ethical ways to find reviewers. For that reason, I recommended The Book Reviewer Yellow Pages as a great tool for helping you find reviewers. You can imagine my delight when I discovered that David Woghan, author of this book, was going to be the guest speaker at a local meeting for publishers and writers. Do you get a little giddy when you meet a celebrity or one of your favorite people of influence? That’s the way I felt recently when I met David Woghan, author of The Book Reviewer Yellow Pages, at the Publishers and Writers of Orange County meeting. I featured his book in one of the tips in my 52 Weekly Book Marketing Tips subscription program. Like any fan, I couldn’t resist asking him to pose with me. He graciously agreed. At the meeting he shared how he became the new author of the The Book Reviewer Yellow Pages. He wrote a critical review of the 2009 edition, pointing out ways the author could improve the book. The original author appreciated his suggestions and stayed in touch with Woghan. When she was ready to step down, she remembered his enthusiastic concern for the contents and layout of the book, and asked him if he wanted to take over updating and publishing the book. Talk about the power of writing a review! Some authors think they can just ask fellow authors to exchange glowing reviews and they blame book distributors such as Amazon when reviews are taken down or not accepted. While you may disagree with the way Amazon judges a review you posted, it’s the Federal Trade Commission that is behind this practice across the board. Endorsements (such a positive reviews and high ratings) are an important tool for advertisers and they can be persuasive to consumers,” FTC’s website states. “But the law says they also have to be truthful and not misleading. If there is a connection between the endorser and the marketer of a product that would affect how people evaluate the endorsement, it should be disclosed. Based on reader feedback, Woghan has completely redesigned the 9th edition loaded with key tips on ethical ways to get book reviews. He lists reviewers and services who are actively seeking books to review, for either free or fee. There are many book bloggers and legitimate services seeking books to review. Some of them offer free reviews and others charge a fee. Finding them on your own, however, would take a disproportionate amount of time and effort. Woghan’s Yellow Pages makes it so much easier. Once you find reviewers in your genre who are open to reviews, you must follow their instructions for submissions. Failure to follow their preferred procedure may mean you won’t even get a response. The Book Reviewer Yellow Pages is organized into four sections followed by seven indexes to help you find bloggers by key attributes. 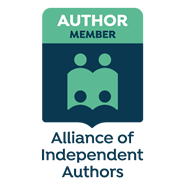 This alphabetical listing of 200 book bloggers makes it easy for you to spot the bloggers who review books in your genre, along with their contact information and turnaround time. These 40 services pre-arrange virtual tours of book blogs where you give interviews, giveaways, and other events to promote your book. This is a new section listing 32 services that give reviews for a fee. The Book Reviewer Yellow Pages is an example of the high quality tips you’ll get when you invest in 52 Weekly Book Marketing Tips. Invest in 52 Weekly Book Marketing Tips to save your time and energy so you can get back to writing and planning your projects, while earning you much-deserved profits. Get started with the 52 Weekly Book Marketing Tips today. From the day you subscribe, you will get a value-loaded issue every 7 days. Not only that, if you have a marketing question I invite you to ask it so I can address it in the upcoming issues. You see, the purpose of this very affordable program priced at a “Of course I want it!” price, is to help you sell more books. These tips have worked for many authors. Let them work for you too. What has your experience been with getting reviews for your book? Do you read reviews before you buy books or other products? Tell us in Speak Your Mind below. I concur with your gleefulness when meeting David Woghan, as I was also pleased to meet and take photographs with the late Dan Poynter at a National Speakers Association meeting. The act of seeking paid book reviews is a product of many people and firms that prey on new authors. Some of these paid processes may be legitimate. However, there are better ways to promote a book. I’m glad you’ve written about this to guide authors in the right direction. You are so right that many paid book reviews are suspicious, and I wouldn’t advise authors to jump aboard any they haven’t investigated. The one I feel good about is my Kirkus Review because it’s a review that library’s respect with knowing whether it was paid or not. I’m proud of my recent review in Publisher’s Weekly because they chose to review my book when I submitted it through a new free service they set up for indie authors called BookLife. I mention this in my 52 Weekly Book Marketing Tips too. Thanks for making time to comment. Flora recently posted..What is the Top Way to Sell More Books?